Ginger has been used all over the world for centuries, both in food and as natural medicine. This versatile root is no less popular today, considering it tastes great in everything! Ginger is actually the root or rhizome of the plant Zingiber officinale. The plant is in the Zingiberaceae family, along with turmeric and cardamom. In India and China, ginger has been produced for its medicinal properties for more than 5,000 years. The warmth and spiciness of ginger comes largely from the ketones it contains, specifically gingerol. Gingerol is related to capsaicin and piperine, which are the compounds that provide the heat to chili peppers and black pepper respectively. 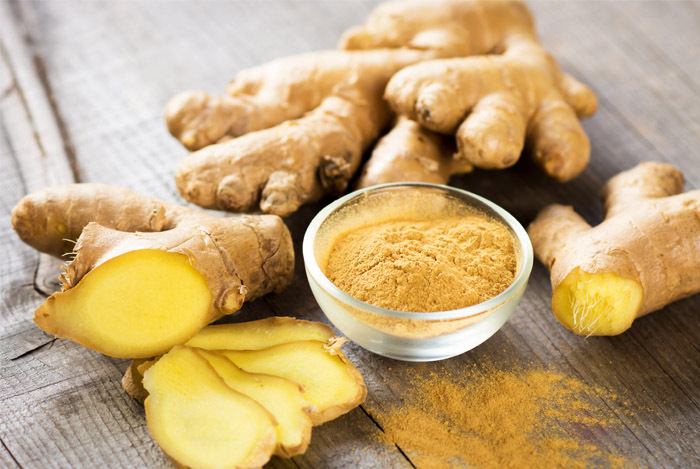 When ginger is cooking, gingerol changes to zingerone, which is sweeter and less pungent; however, when ginger is dried, shogaols are formed and these are about twice as pungent as gingerol.